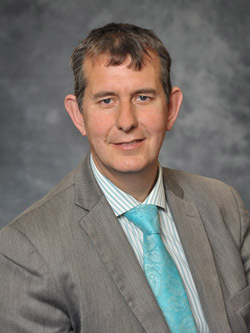 AS more and more people are living longer in Northern Ireland, Health Minister Edwin Poots says we must transform the way we deliver adult care and support. About a third of all men and half of all women will, after the age of 65, need long term care and support. On looking at the reasons for this need for change, Health Minister Poots said: “Levels of dementia and long term conditions, such as diabetes, hypertension and stroke, are projected to increase dramatically as our population ages. And medical advances have extended life expectancy and improved quality of life beyond what could have been expected even a decade ago. “If so many of us are living longer, often with disabilities and long term illnesses, it is likely that we will need some form of support. Yet many people don’t know how the care and support system works, and don’t feel that it is relevant to their lives. “I hope that many of you will take the opportunity to attend the consultation event. “Many have made no provision for their old age believing that the State will provide. And among those who have, there are many who feel that the current means-testing of certain services is unfair, particularly for residential and nursing home care which can see people selling their former homes and using their life savings to pay for their care. “Every day adults, young and old, are supported through the care and support system, and we are now spending over £800m each year in doing so. This can take the form of support at home, such as domiciliary care, day care, direct payments, respite care and housing adaptations, as well as residential or nursing home care. “Of course, not all care and support is provided by the government. An army of carers give up their time to care for family or friends. “Although there is much that is good about current services, we must recognise that the system is coming under ever-increasing pressure. Each generation is living longer than the one before it. We are lucky to have an active older population who make a vital contribution to our communities. Yet as we get older our need for care and support will increase. By 2021, the number of people aged 85 and over is projected to increase by 67%. “People with disabilities are also living longer, which is a fantastic testament to how far society has come in terms of medical, social and technological development. “We must ensure that our care system is keeping pace with these changes. If we keep treading the same path, we will be unable to afford to provide care for those who need it. “And it is not just a question of the type of support provided but how that support is funded. The global recession we are facing shows no signs of ending soon. So we must act now to ensure we have a fair and sustainable system of care and support in the future. “Changes implemented following the review of health and social services will go a long way to improving services here. But in the longer term, we need to undertake a fundamental review of our policies around adult social care to ensure a sustainable framework is in place. “That is why I am launching a public consultation on the future of care and support in Northern Ireland. I encourage you all to read the consultation document “Who Cares? The Future of Care and Support in Northern Ireland” and join what I believe is a much-needed debate.